Using Habits to Achieve Success, Happiness, and Anything You Want! If so, you must listen to The 7 Laws of Habit: Using Habits to Achieve Success, Happiness, and Anything You Want. 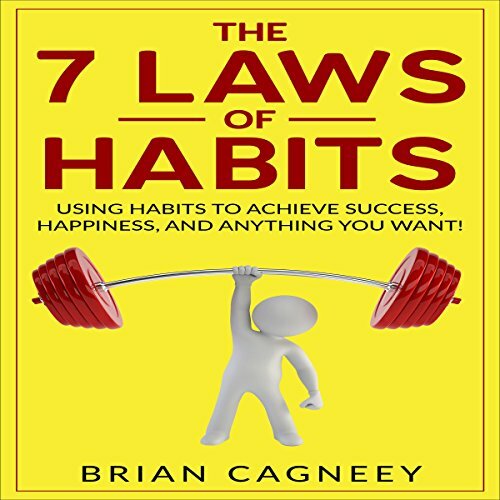 Part of the popular "7 Laws" series, this book is your guide to taking control of your unconscious, automatic actions - your habits. With the insights it shares, you can understand and regulate your bad - and good - habits. The 7 Laws of Habit takes you on a challenging and rewarding personal journey. You'll learn to accept your weaknesses, take responsibility for your actions, and create a positive new identity. We create ourselves and our personalities through the habits we develop and maintain.